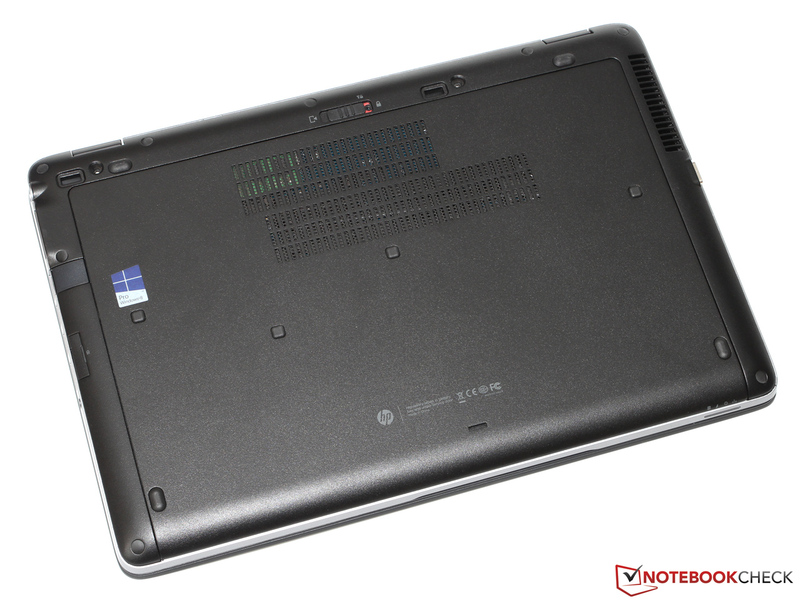 You want to get not only the best build quality and precise input devices when you invest a four-digit sum for a high-quality business notebook – the performance should be pretty good as well. 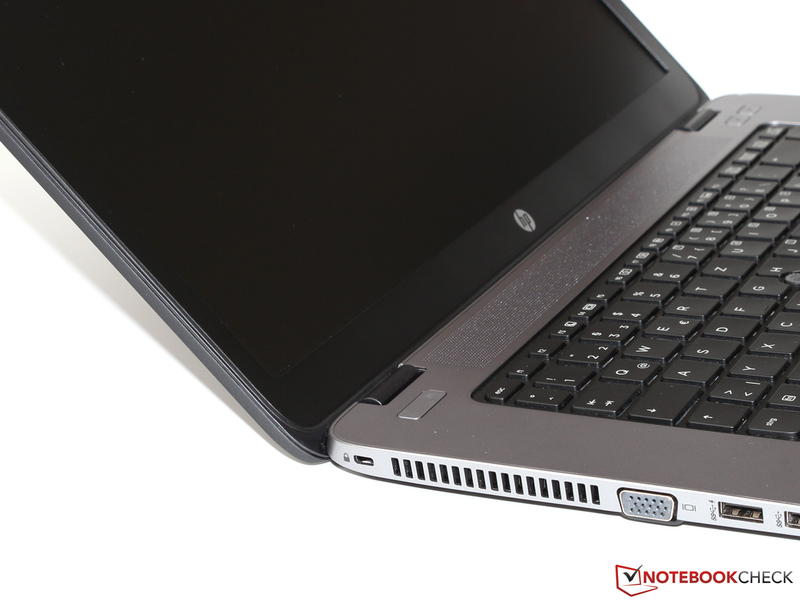 This is also the reason for our review update of the just recently reviewed HP EliteBook 850 G1, but this time we have a closer look at the top version for around 1,600 Euros (~$2212). For an additional charge of 600 Euros (~$830) compared to the base configuration, you not only get a fast Core i7 processor, but also better storage and memory equipment (8 GB RAM, 180 GB SSD) as well as a dedicated AMD Radeon HD 8750M. 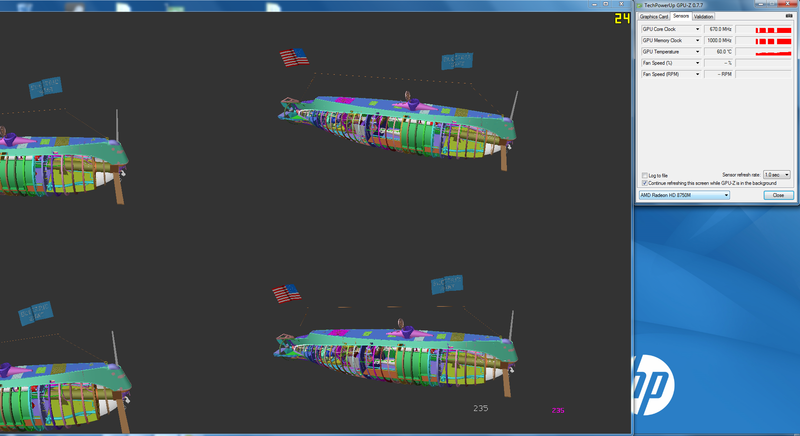 The display, on the other hand, is identical; both versions use the Full HD SVA panel (standard viewing angle). The more recommendable WVA version (wide viewing angle), probably with an IPS panel, is surprisingly only available in one medium-priced configuration. You can find a small overview about the available models in Germany in the chart below. 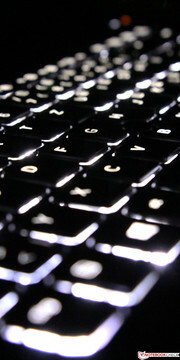 We will waive the description of the case, the connectivity and the input devices in this review. All the related information can be found in the original article. We do not want to waive the display section completely because even two similar panels are never completely identical, so we want to make a quick comparison with our first review unit. We can actually determine small differences in terms of maximum brightness: The measured 264 cd/m² is around 10 percent lower than the previously determined average brightness (292 cd/m²), even though this deviation is still within the normal range. Subjectively, the user should not see a difference anyway, because the human eye interprets light intensities logarithmically. 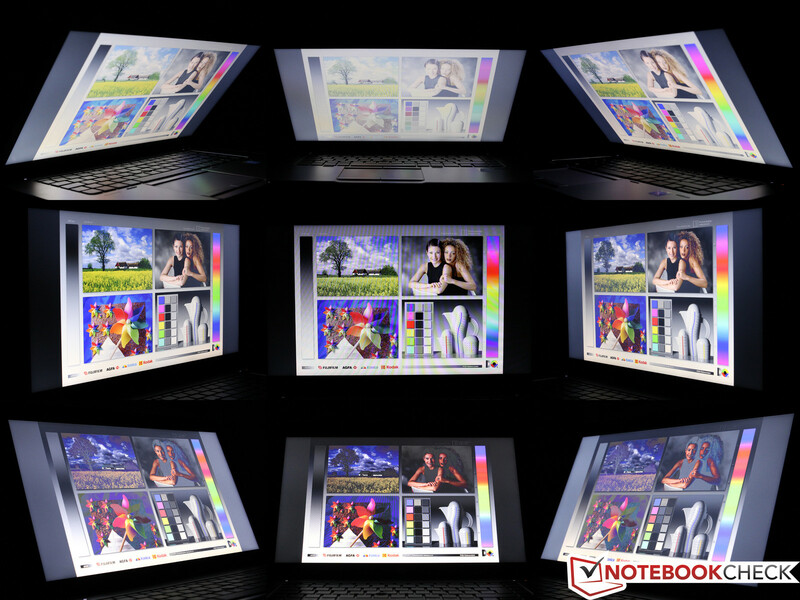 We could not determine flickering of the backlight with reduced brightness settings that we criticized in the past. Corresponding with the slightly reduced brightness, the black value improves to 0.64 cd/m², whereas the actual contrast ratio of 413:1 is basically identical. This is not really surprising; the TN panel has the same designation, Chi Mei CMN15C2. 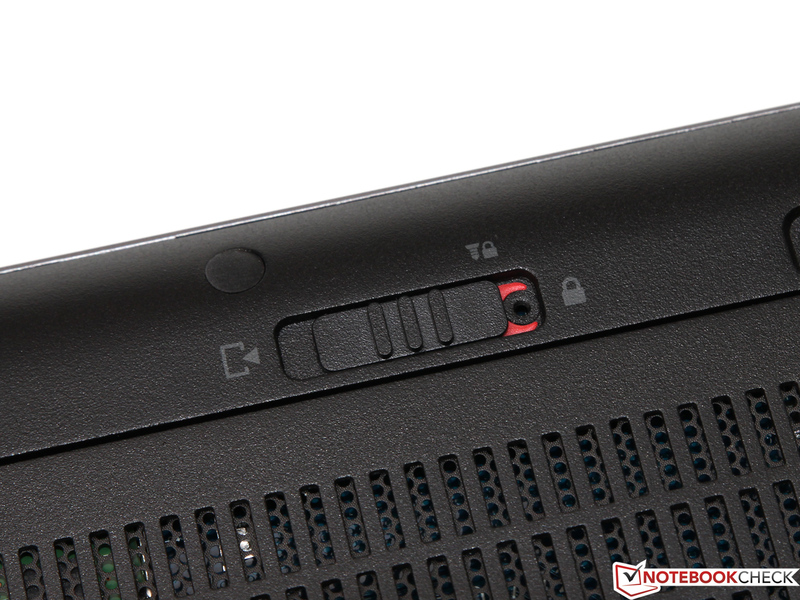 Similar products (in terms of quality) are also used by the competition, for instance, in the Lenovo ThinkPad S540. 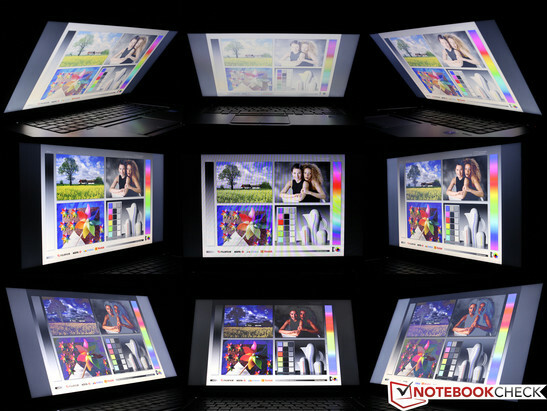 Such a display might the completely sufficient for typical office tasks, but professional users who want to edit pictures or graphics will not be happy about the limited color space (47 percent AdobeRGB, 65 percent sRGB) and the comparatively high DeltaE results. 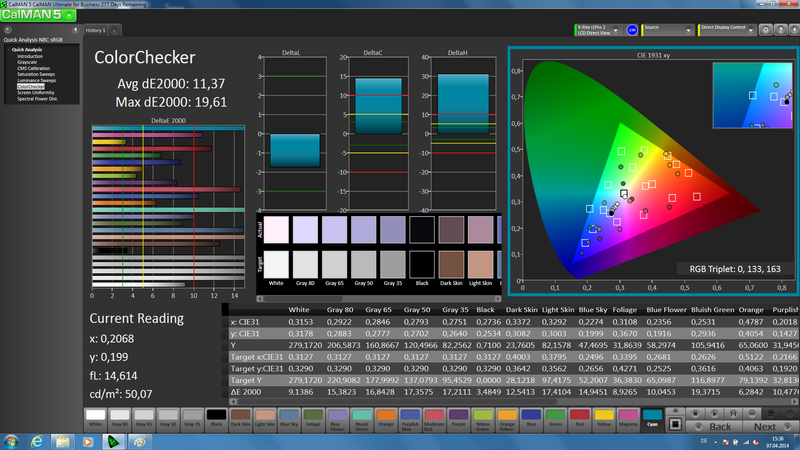 We recommend the installation of a calibrated color profile to minimize the visible blue cast as well as the color and grayscale deviations. 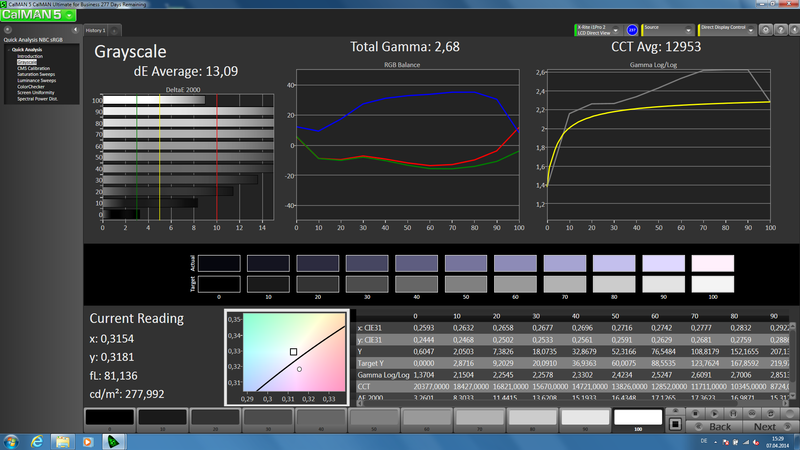 As usual, you can download our ICC profile; the link is right next to the brightness distribution chart above. Thanks to its anti-reflective display surface, the EliteBook is also well suited for outdoor environments and you can even use the panel under direct sunlight without any significant restrictions. The viewing angles, on the other hand, as typical for a TN panel, are not very good: Especially vertical shifts quickly result in color deviations and reduced contrast, so you should not leave the sweet spot if possible. The situation should be much better with the already mentioned configuration with the WVA/IPS panel. 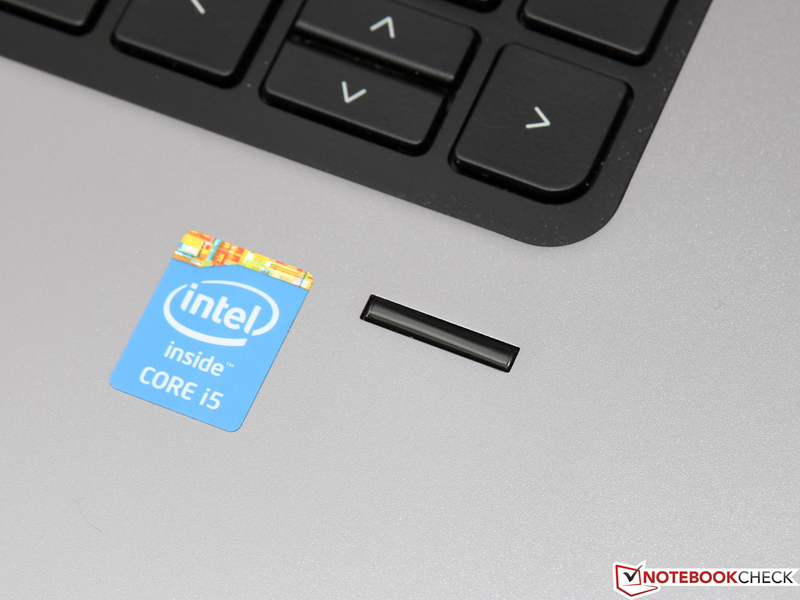 Around 100 Euros (~$138) separates the Core i7-4600U from the popular mainstream Core i5-4200U. In return, you get a couple of hundred MHz more (2.1-3.3 GHz instead of 1.6-2.6 GHz), a bigger L3 cache (4 MB vs. 3 MB) as well as additional features like vPro or VT-d. 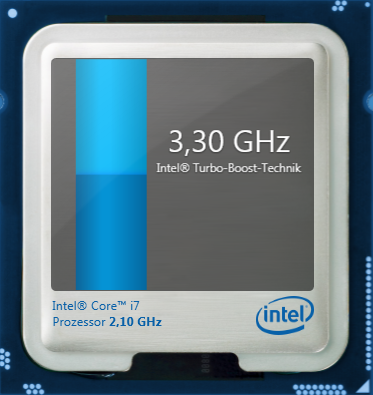 However, both dual-cores use the same Haswell chip with a TDP of 15 Watts, which is produced in 22 nm. 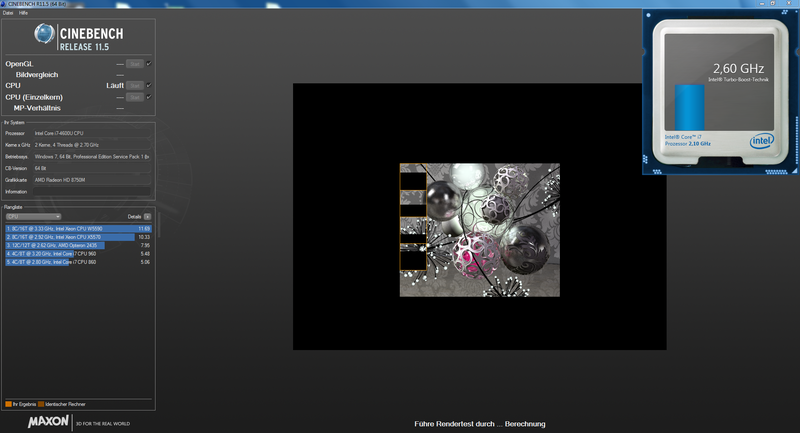 The integrated HD Graphics 4400 of our review unit is supported by a dedicated Radeon HD 8750M. AMD’s Enduro technology only activates the Radeon GPU when an application has higher demands in terms of graphics performance – this works (contrary to earlier reviews) pretty well by now and helps to reduce the power consumption and therefore improve the battery runtimes. 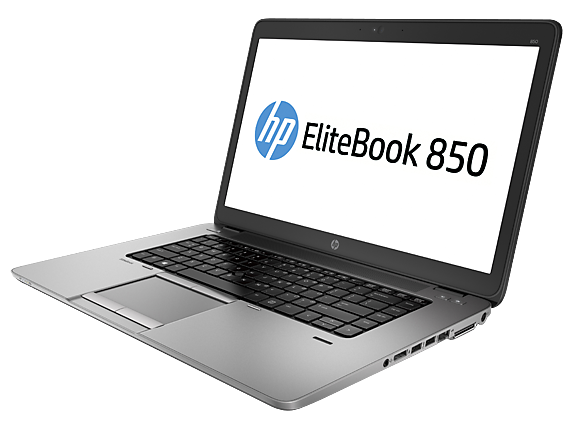 A second 4 GB DDR3L-1600 memory module increases the memory capacity of the EliteBook to 8 GB, and the RAM works in the faster dual-channel configuration. 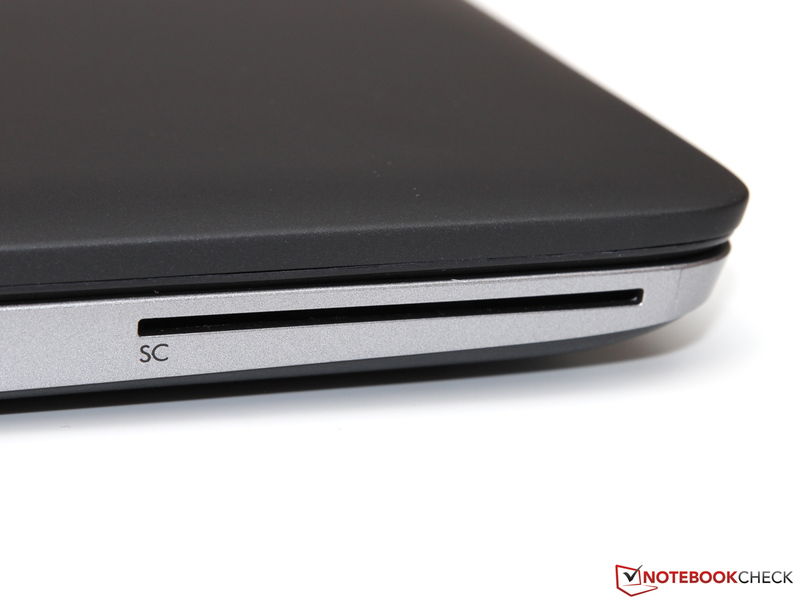 The 500 GB hard drive of the less expensive configurations has been replaced by a 180 GB SSD. 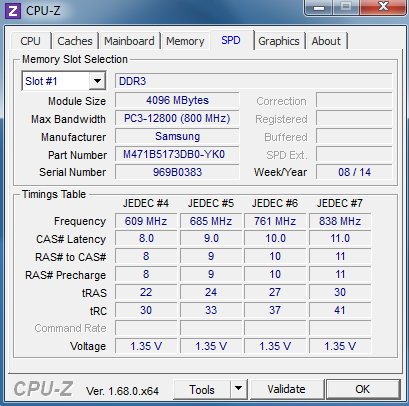 While the slightly bigger L3 cache of the Core i7-4600U usually only results in minimal performance improvements, we can see a noticeable performance advantage due to the higher clock compared to the i5-4200U. The single thread test of Cinebench R11.5 determines an advantage of more than 26 percent, which is not only perceptible in synthetic benchmarks. 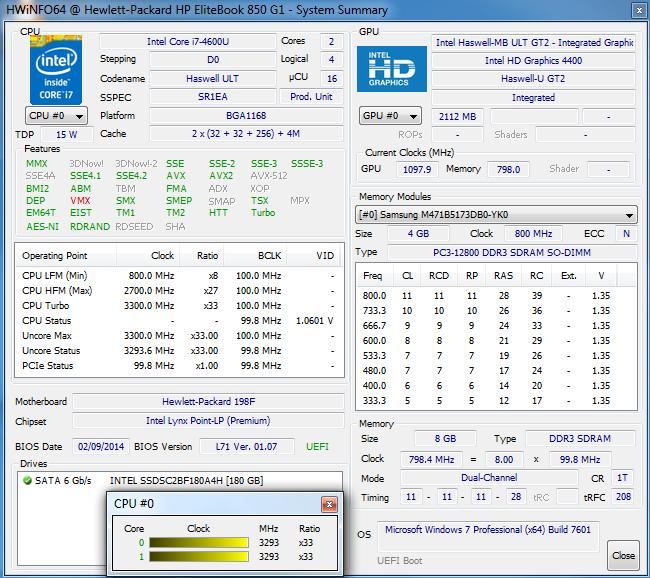 The CPU was able to maintain the maximum clock of 3.3 GHz during the test. 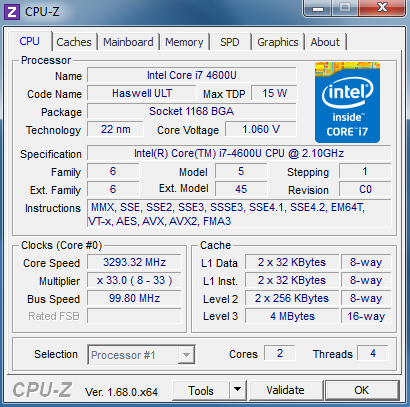 Load for both cores only shows an advantage of 17 percent – the low TDP has a bigger impact on the Core i7 compared to the Core i5, which means that the 4600U has to reduce its clock from 2.9 to 2.6 GHz after around 30 seconds. 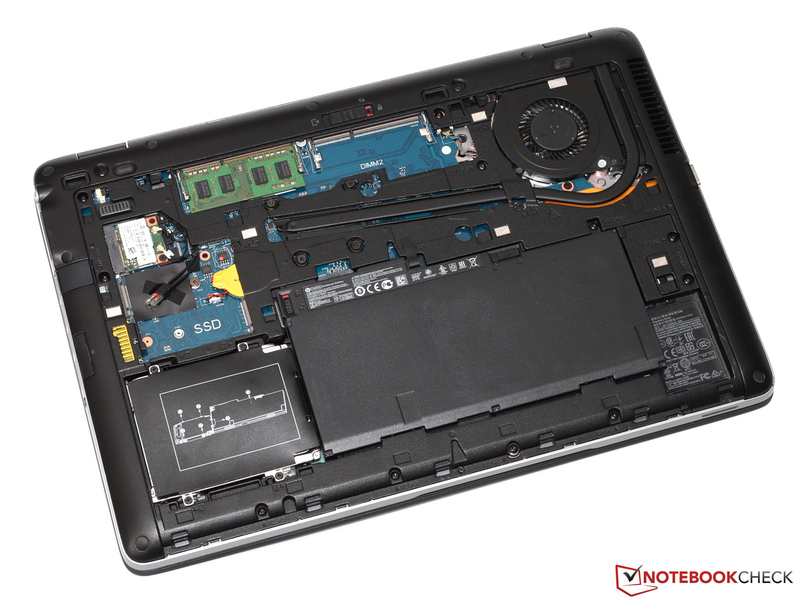 Overall, the 850 G1 almost offers the performance of the significantly less frugal predecessor 8570p (Core i7-3520M, TDP of 37 Watts), but it does not stand a chance against quad-core rivals like the ThinkPad T540p (Core i7-4700MQ, TDP of 47 Watts). 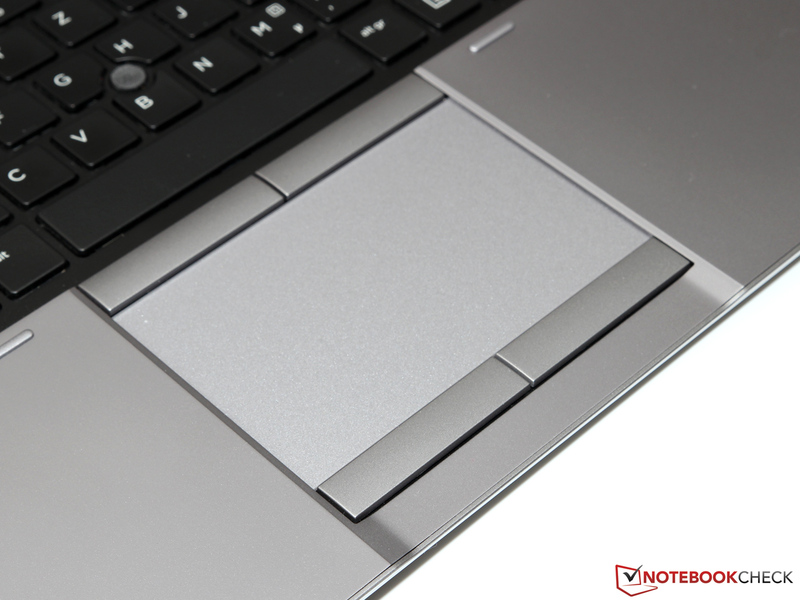 Here we can clearly see the different orientations of the two devices: Contrary to Lenovo, HP focused on the mobility in particular, which results in a thinner and lighter EliteBook, but the performance is also much lower in return. Battery power only shows the base clock of the Core i7-4600U (2.1 GHz) at first, because the manufacturer only activates the Turbo Boost when the power adaptor is attached. 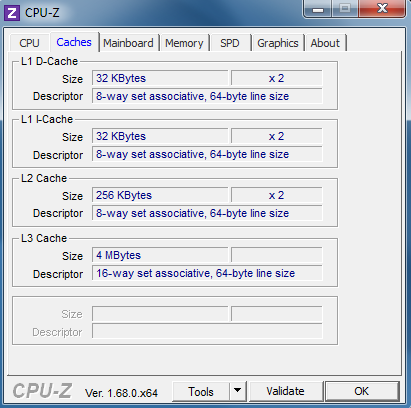 Depending on the application, this can result in a performance drop of up to 35 percent, but this behavior can fortunately be changed with the corresponding BIOS setting "Enable Turbo Boost on DC". 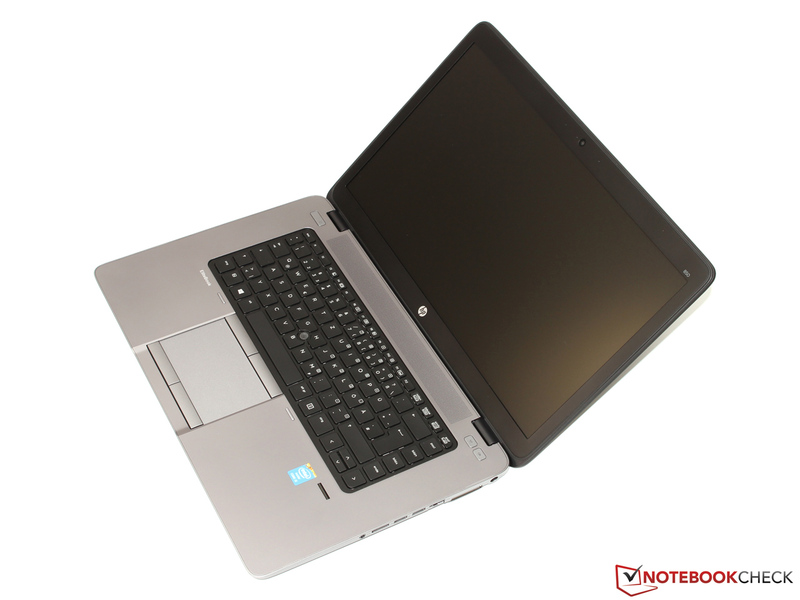 It is not surprising that HP equips the EliteBook 850 G1 with the Intel SSD Pro 1500. 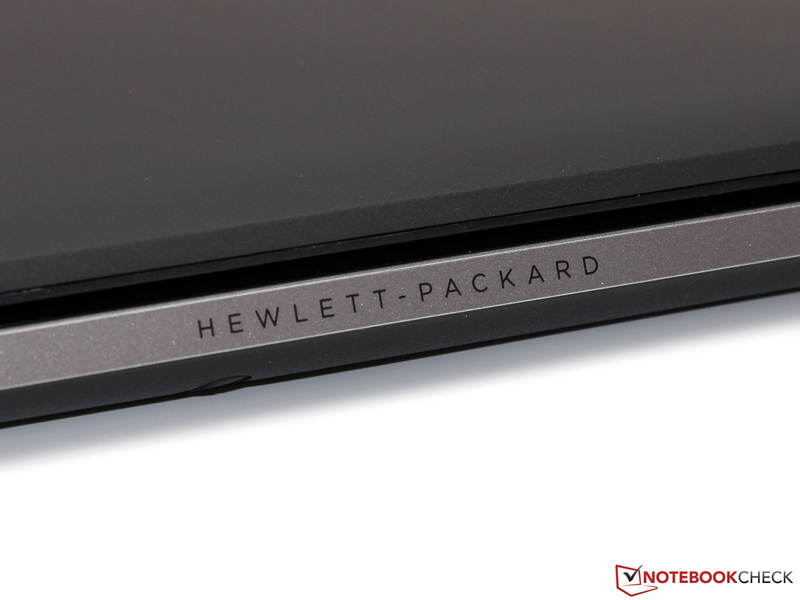 We already know this drive from the 820 G1 and 840 G1: High power efficiency, high reliability (at least according to the manufacturer) and special features like the hardware-based AES encryption. 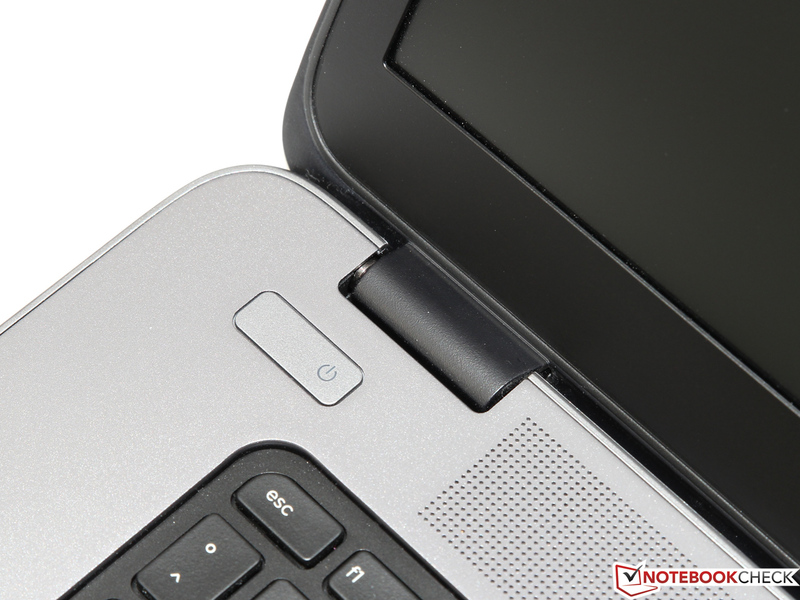 The drive is therefore a sensible choice for expensive business notebooks – only the storage capacity could have been bigger than the available 180 GB (115 GB can be used). There is, however, no criticism in regard to the performance: The combination of a SandForce controller (SF-2281) and Intel’s own 20 nm MLC flash modules convinces us with very high transfer rates. 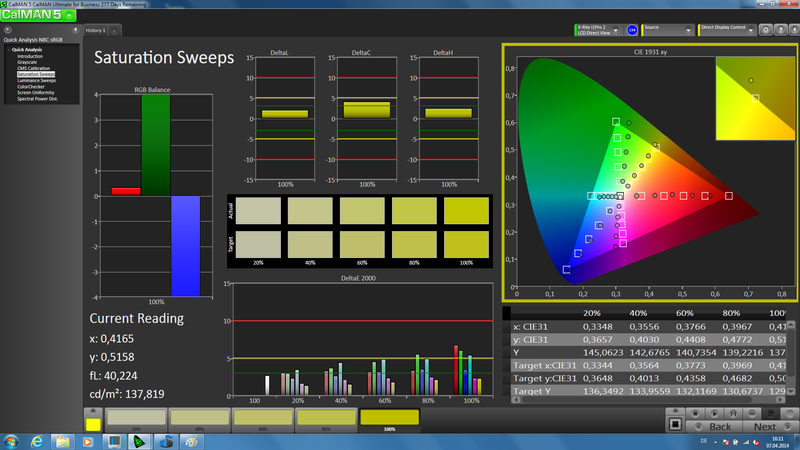 Both the results for sequential reading and writing as well as the 4K/4K64 tests are at the top of the charts. 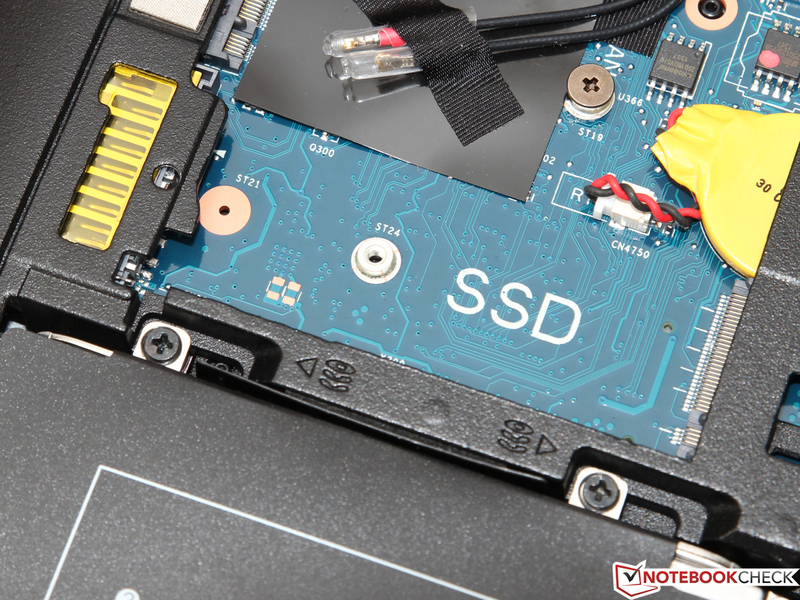 The base configuration of the 850 G1 already provided a decent system performance, but the SSD and the faster processor can easily improve the result. This does not apply for only the benchmarks like PCMark 7, where the overall score jumps from 2,800 to more than 5,400 points. Even more astonishing are the improvements in practice like starting Windows or launching applications: While a conventional hard drive often requires a couple of seconds, the SSD essentially executes inputs immediately. You should not try to save any money on this component. It is also very easy to upgrade the storage solution by yourself, and using an HDD and an M.2 SSD at the same time is also possible. 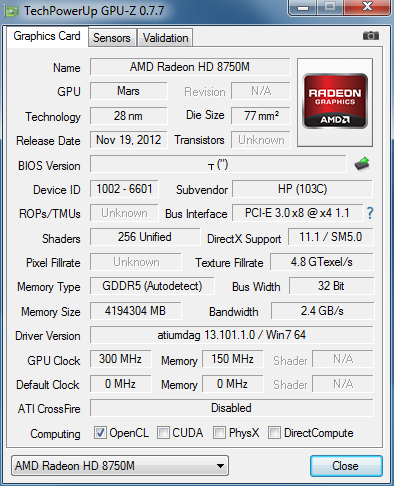 Now we have a look at the probably most interesting feature of our review configuration: The AMD Radeon HD 8750M. We have never reviewed this graphics card with the fast 1 GB GDDR5 memory as previous models have used slower DDR3. 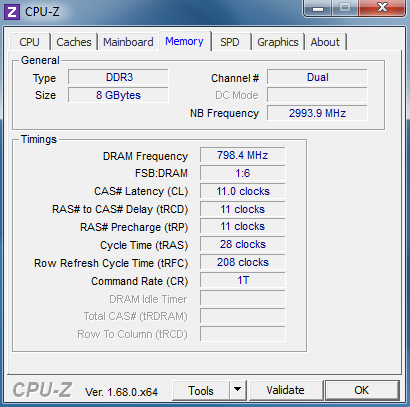 One would expect faster overall performance, but the 384 shader units (GCN architecture) of the Mars chip have a much higher clock in the DDR3 version (775-825 MHz instead of 620-670 MHz). 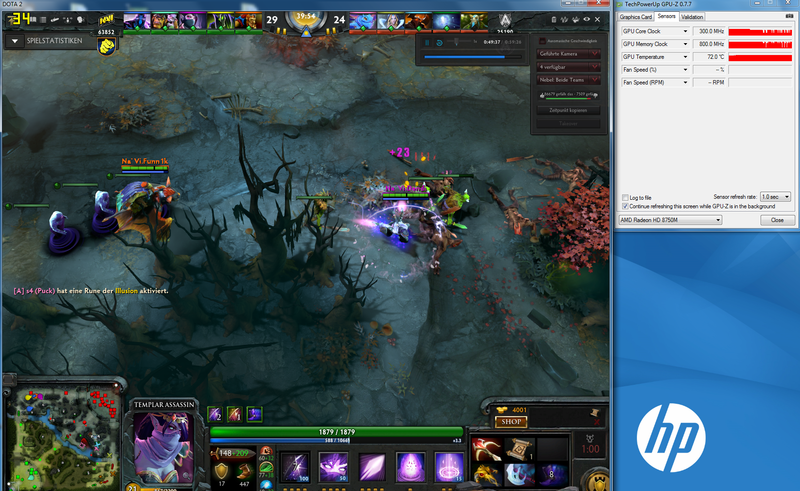 The larger memory interface does not really lead to higher frame rates as a result. 3DMark 11 or 3DMark (2013) even show almost identical results for both cards, and the performance is roughly on the same level with the GeForce GT 730M or 740M. 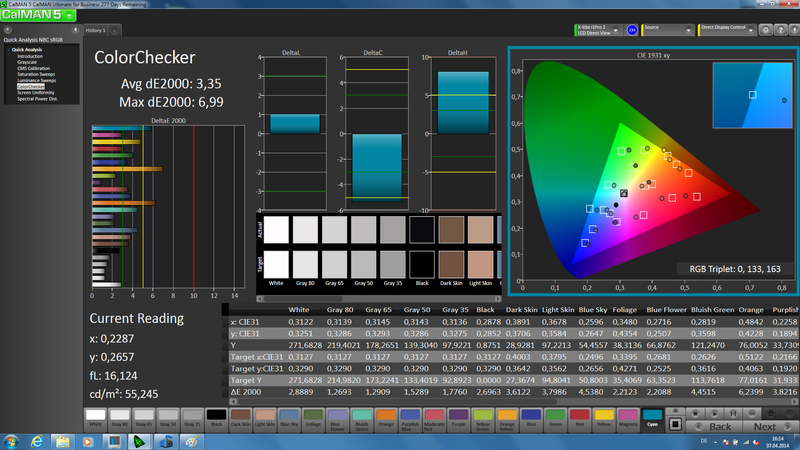 This is sufficient to beat the HD Graphics 4400 by a factor of 2. 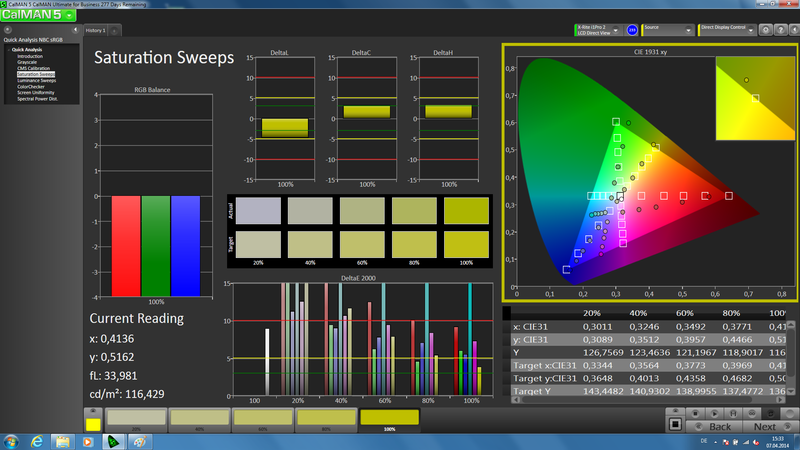 The 8750M does leave a mixed impression in the CAD benchmark SPECviewperf 11. The average result of all tests is barely superior to the integrated Intel GPU – this means the Radeon is not suited for complex constructions. The FirePro M4100, which has the identical specs, has a comfortable advantage of around 150 percent because of the OpenGL drivers alone. 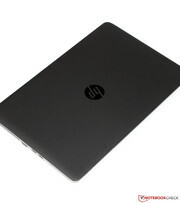 Those professional GPUs are, however, usually only available in workstations like HP's ZBook-series. ...performance drop after a longer period. Before we talk about the gaming performance of the Radeon HD 8750M, we have to mention a couple of smaller and bigger (driver) problems that we noticed during our review. Applications crashed on multiple occasions directly after the launch (PCMark 8) when the AMD GPU was active; the system even froze in some cases and only a hard reset was possible (F1 2013, Company of Heroes 2). While this could probably be solved by a new GPU driver, there is another issue that might have a much bigger impact: The GPU clock starts to fluctuate after a couple of minutes during gaming – we even determined drops to 300/150 MHz (core/memory clock) for short periods. The result: Heavy micro stutters that can result in an unplayable experience in some cases, even if the average frame rate is above 30 fps. This did not have an impact on our comparatively short benchmark sequences, which means the following benchmark results represent the performance of the 8750M. We can once again see that the DDR3 and GDDR5 versions of this graphics card are on a similar level and comparable to a GeForce GT 740M from Nvidia. However, this only applies to AC operation; the performance is reduced by around 50 percent on battery power (clock limited to 400/300 MHz). Our first review unit was mostly passively cooled during idle; only the mechanical hard drive prevented a completely silent operation. This component is now replaced by an SSD, so you cannot hear our review configuration during light office and multimedia workloads. 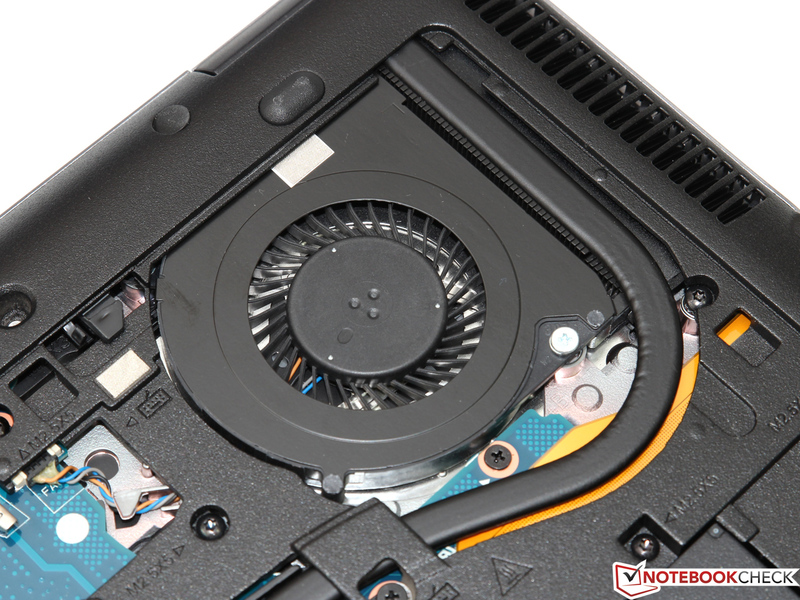 The lowest fan setting is also very slow, which means you can hardly hear the slight murmur from a distance of a few centimeters. Maximum load, on the other hand, results in a higher system noise, because the additional heat of the Radeon GPU has to be dissipated as well. 37.2 dB(A) during 3DMark 06 is still very restrained; the result is decent when you consider the thickness and the performance of the notebook. More noise is only produced in our impractical stress test. 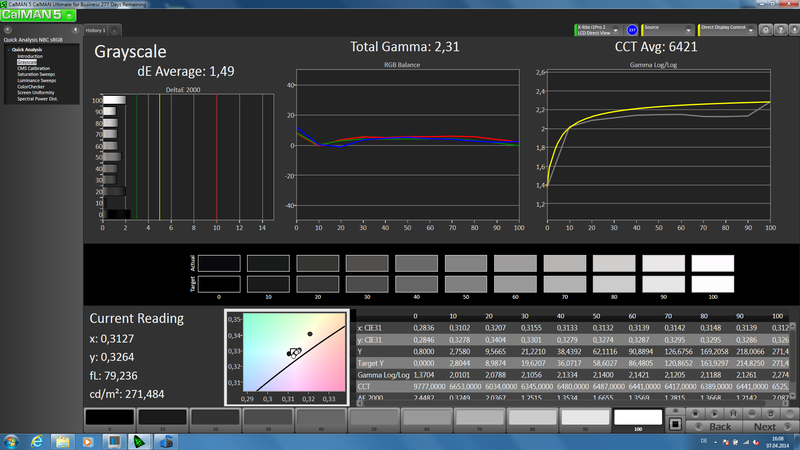 Compared to our previous test, case temperatures are also noticeably higher. We can measure more than 30 °C (86 °F) at some spots during idle, but this is primarily a result of the barely rotating fan – the temperatures are definitely not inconvenient or worrying. A bigger problem is the results under load: 45 °C (113 °F) in the center of the keyboard is just tolerable. However, we want to mention that these temperatures are only reached in a few extreme scenarios. 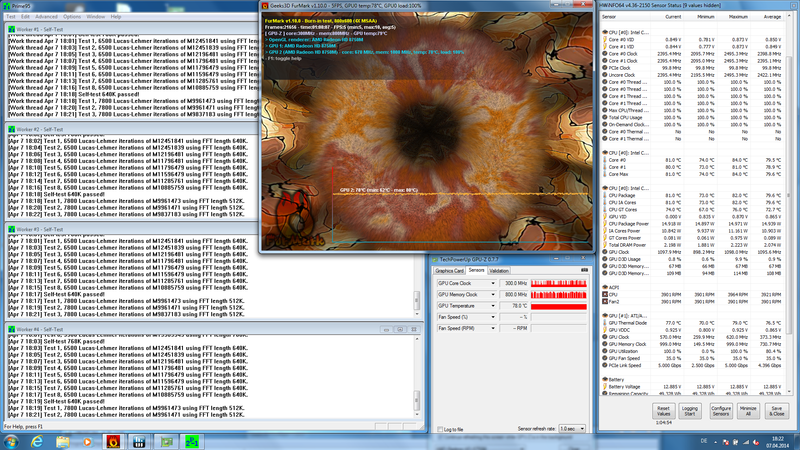 Our one-hour stress test with Prime95 and FurMark results in temperatures of around 80 °C (176 °F) for the processor and the graphics card. While the CPU is able to maintain a clock of 2.4 GHz, we can see even bigger fluctuations of the GPU clock than in our gaming benchmarks. It is interesting that the throttling does not seem to be influenced by the core temperature – this is probably a deliberate design decision to limit the power consumption. A minimum consumption of 4.1 up to 9.3 Watts of our review configuration is even more frugal than the previously reviewed entry-level configuration (4.9-9.3 Watts) – despite the additional memory module and the AMD GPU. The latter is however automatically deactivated (Enduro) during idle, while the additional memory is compensated by the more efficient SSD. 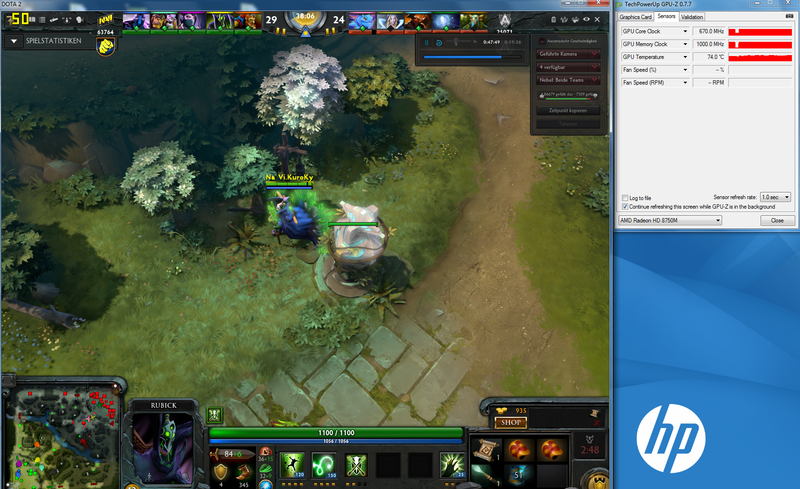 This advantage is obviously gone as soon as you use the dedicated GPU. Despite the throttling, the HD 8750M increases the load consumption to 42.8-48.6 Watts, around 15 Watts more than the integrated processor graphics. The provided 65-Watt power adaptor is still more than sufficient and should not be responsible for the limited performance. Our battery runtime measurements reflect the previously determined consumption values: The Battery Eater Reader’s test (energy-saving mode, minimum brightness, and wireless off) runs for almost 10 hours. This is 1.5 hours longer, despite the identical 50 Wh battery. 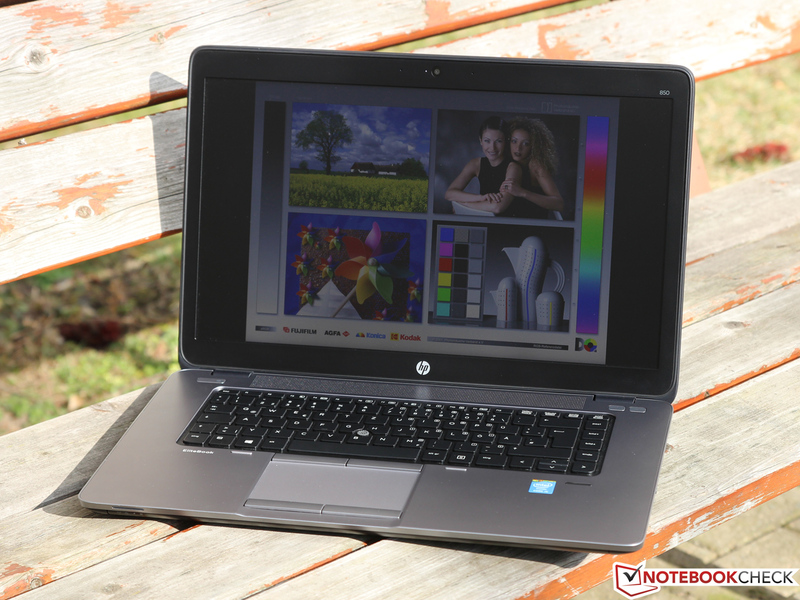 A more realistic scenario with an adjusted display brightness (17/21, 139 cd/m²) during web browsing or HD movie playback results in a runtime of around five hours for the EliteBook. These results are very similar to the previous review. The runtime of the Battery Eater Classic test (high-performance, maximum brightness, and wireless on) is nearly identical with little more than two hours. 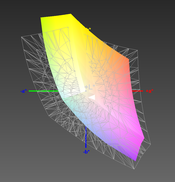 This test does, however, use the Intel GPU – using the Radeon GPU will affect the result. Convenient: The powerful 65-Watt power adaptor reduces the charging time by around 30 minutes. 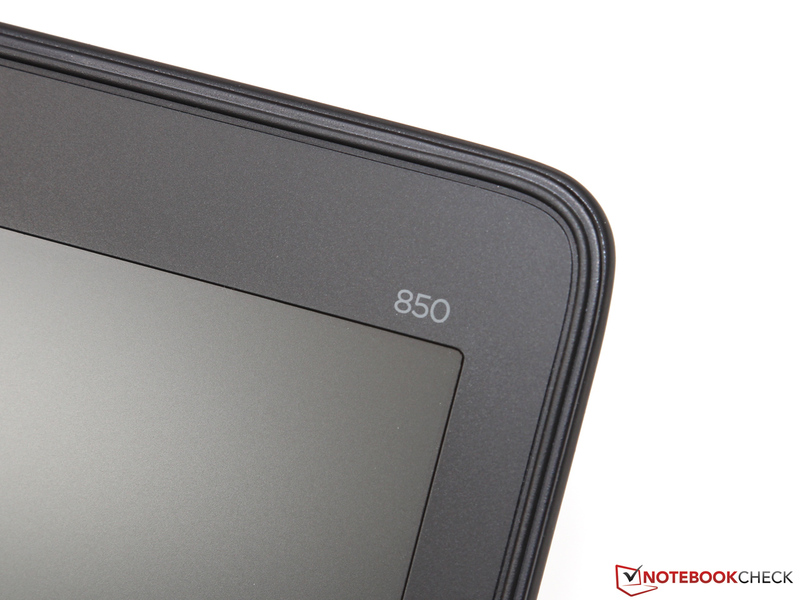 One step forward, two steps back: It might be irritating at first that the top version of the 850 G1-series is actually one percentage point behind the base configuration in our ratings – but the reason is simple when you have a closer look. 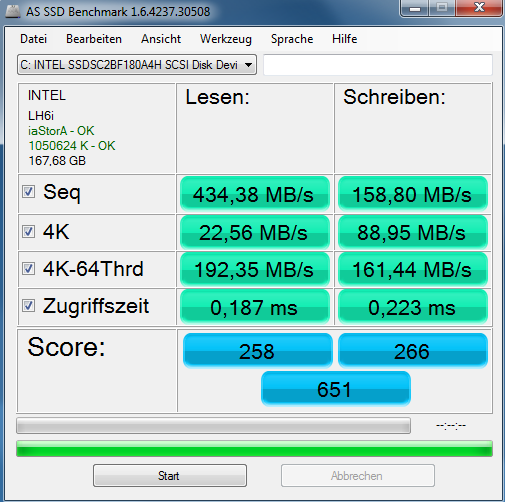 But let’s start with the positive aspects: The fast SSD in particular improves the performance of the EliteBook, not only in the synthetic system benchmarks, but also (and especially) in practice. Twice the amount of memory (8 GB) is also sufficient for excessive multi-tasking. The powerful processor is usually sufficient as well, even though the performance is still slightly behind the predecessor with a standard voltage CPU. We were eager to see the impact of the Radeon HD 8750M, which is supposed to improve the 3D performance of the 850 G1. 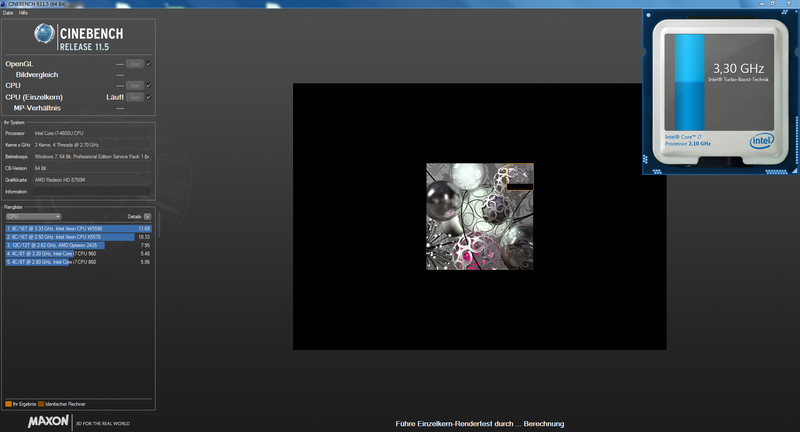 This would have worked, but the observed clock fluctuations prevent it. 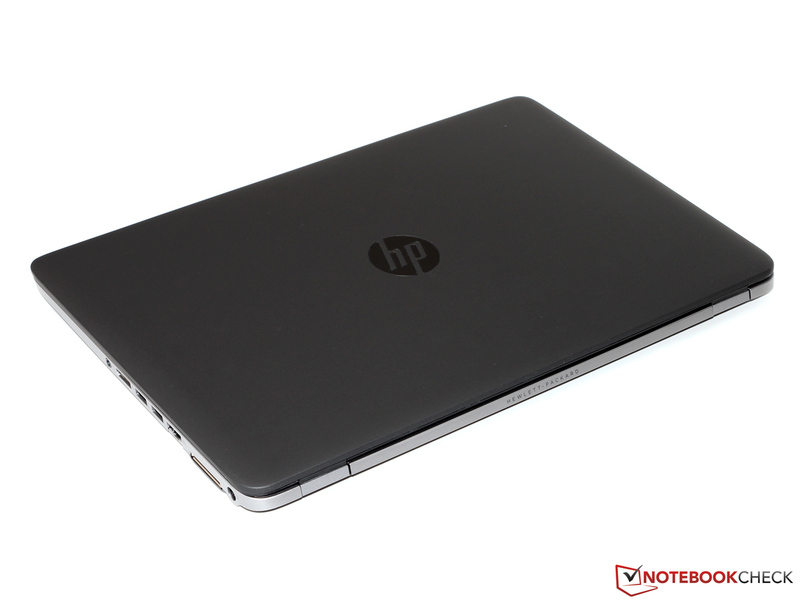 We still hope that HP solves the problem with an upcoming BIOS update – but this would certainly increase the temperature and noise development in return. So what is the recommendation for potential buyers? 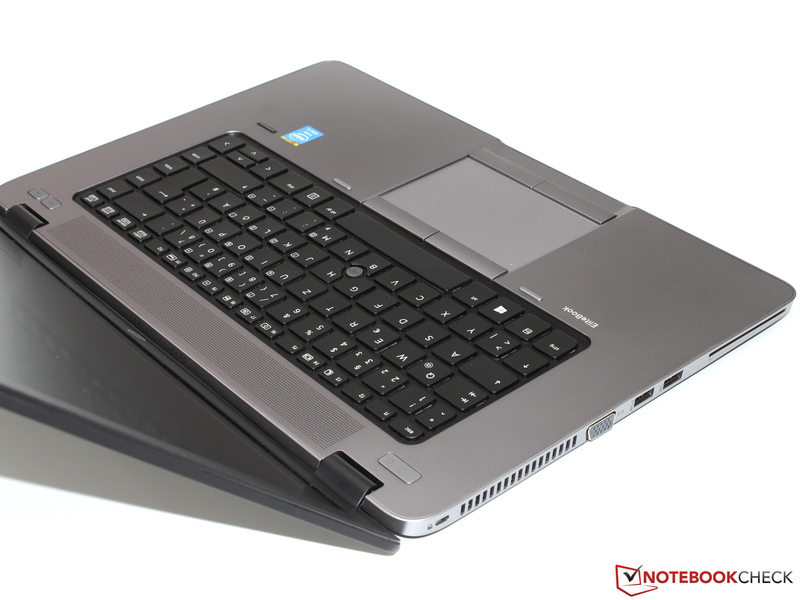 The EliteBook is still an excellent device in terms of build quality and input devices as well as mobility, and there are not many comparable 15-inch rivals. As a result, possible alternatives include the comparatively inexpensive base configuration, which can be upgraded with an SSD and other components. ...is a bold move from HP. ...only uses efficient low-voltage CPUs from now on. ...enables a significantly lighter and thinner case. 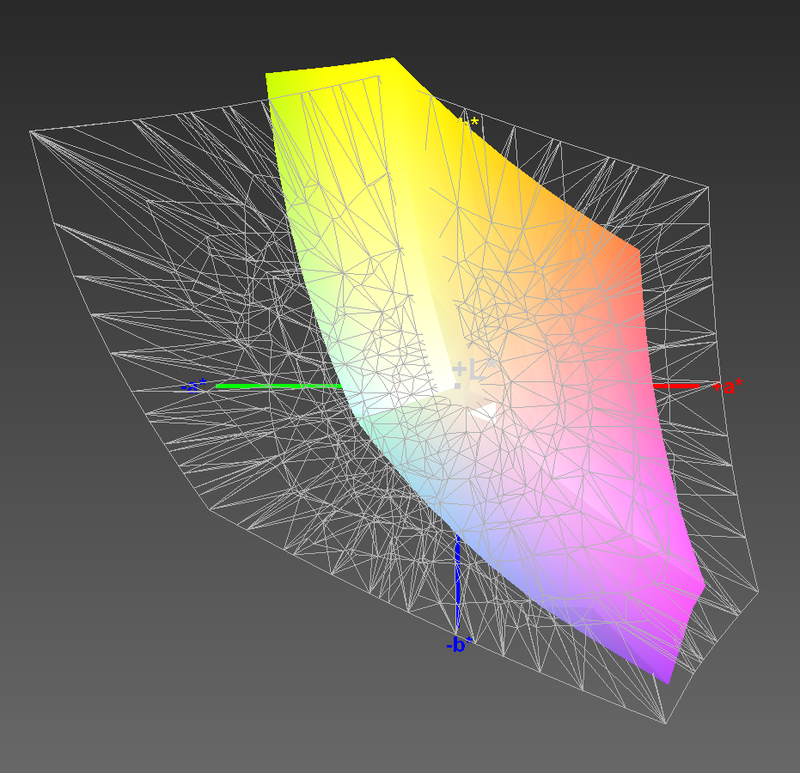 ...but the maximum opening angle is not very generous. A rubber lip protects the display during transport. The SD card reader is tricky to access. 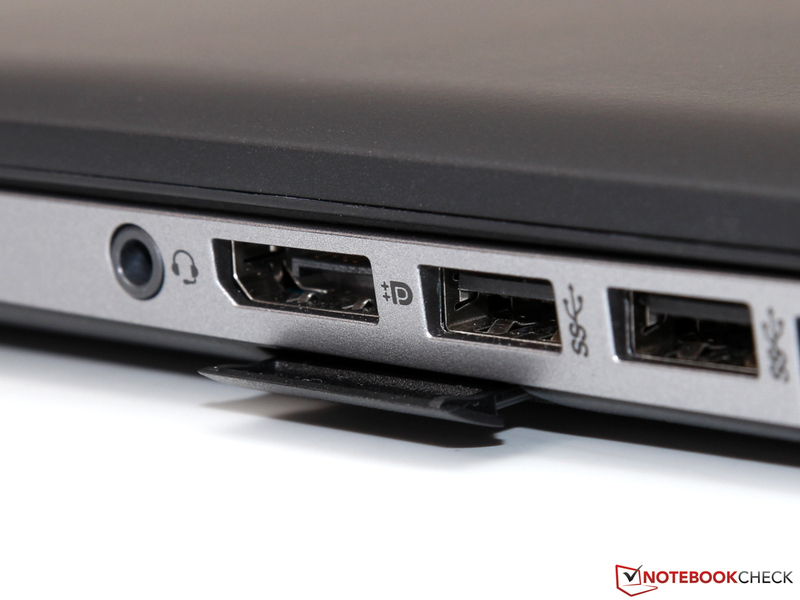 More ports are available via optional docking station. ...and is illuminated by white LEDs. 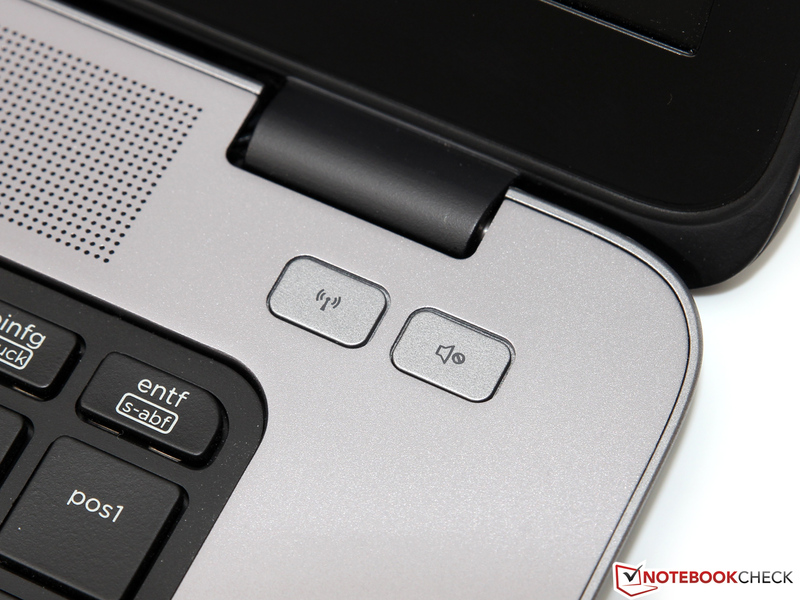 A handy feature are the special keys for WLAN and sound. 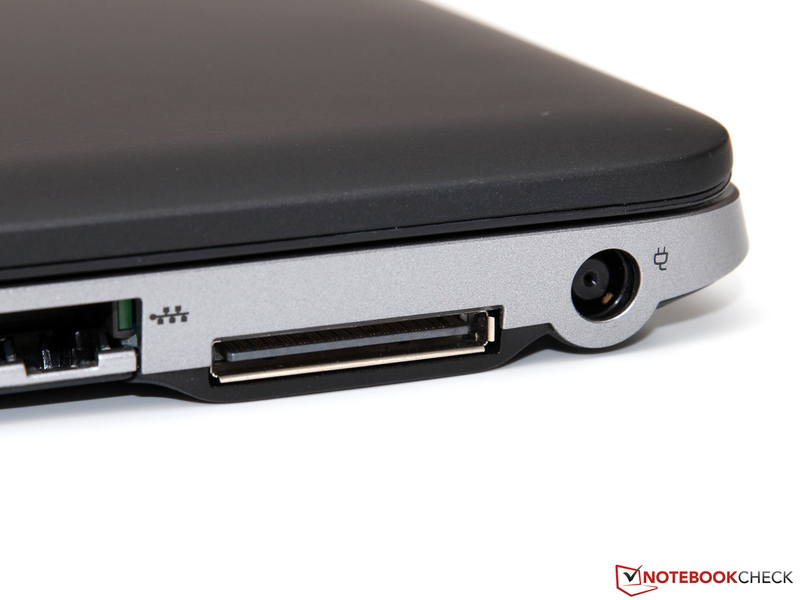 In addition to the 2.5-inch drive you can integrate an M.2 SSD. ...and dissipates the heat quietly. 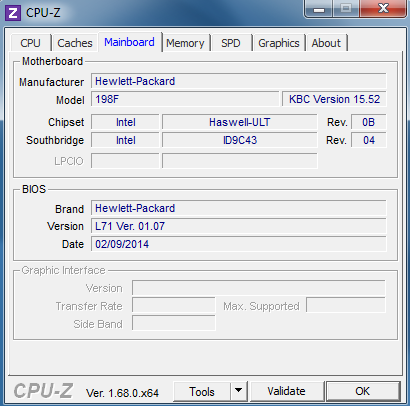 The user can choose between Windows 7 and 8. 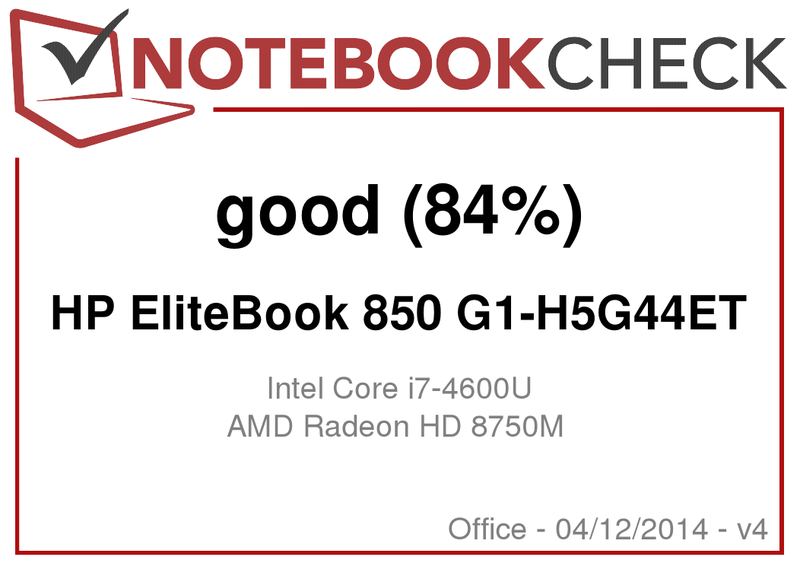 An SSD and 8 GB RAM finally deliver the performance that we expect from a high-end business notebook like the EliteBook. 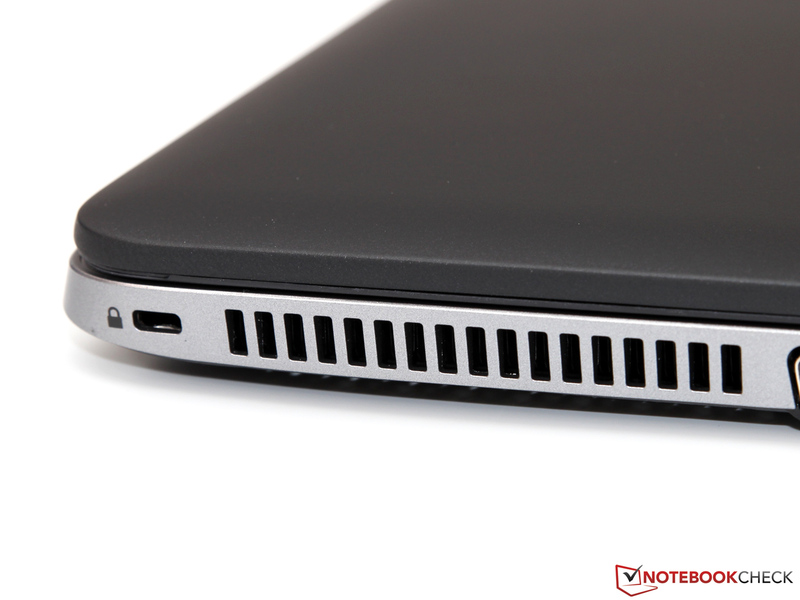 The 20% higher performance of the Core i7-4600U is also a nice addition. A high-quality IPS panel with wide viewing angles and accurate colors would be the icing on the cake for the 850 G1 – unfortunately, it is only available in other configurations. Why integrate an additional graphics card if you cannot use the full potential? 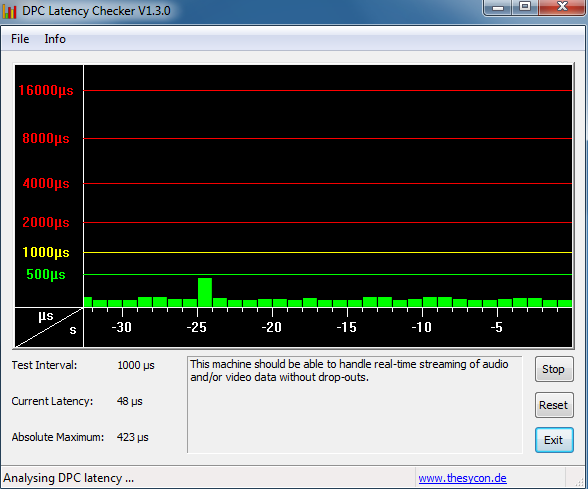 Considering the uncritical hardware temperatures we also don't see the reason for such a drastic throttling. 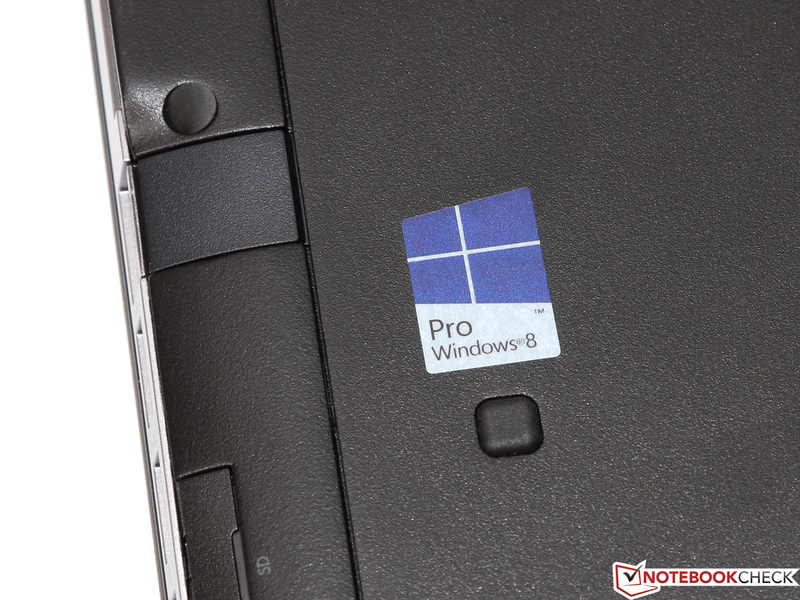 There are not many comparable rivals, the Toshiba Tecra Z50 and the Lenovo ThinkPad S540 (more of a prosumer notebook) are the biggest competitors for the 850 G1. 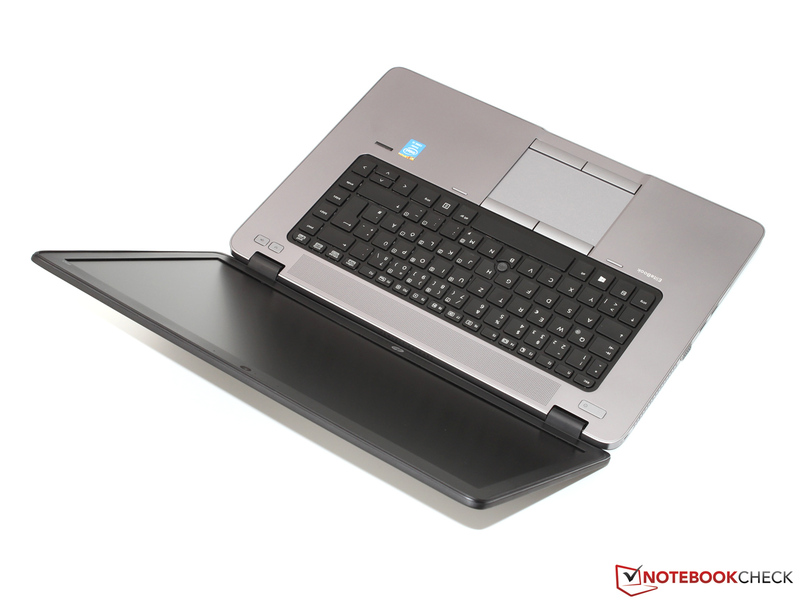 Another alternative would be a 14-inch notebook, for instance the Dell Latitude E7440, ThinkPad T440s or Toshiba Tecra Z40.